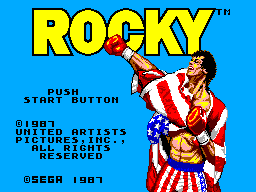 "You're Rocky. A fighter with a dream, to be the best boxer the world has ever seen. The chances were one in a million, but you made it to the most exciting event in boxing: The World Class Heavyweight Championship. In the ring, your first fight is your most feared. 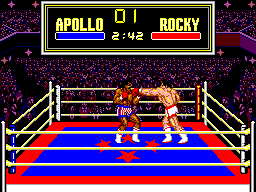 And you'll have to master your uppercut to knock-out the never-beaten brawn of Apollo, the reigning champion. Then, train diligently. Because once you're champion, the contenders will come forth like crazy. And they're hungry for your defeat. 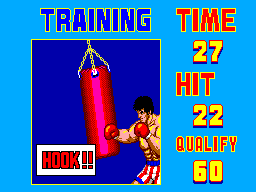 But you're a powerful fighter with a deadly straight-on and a heavy hook that connects with sheer force. So play for keeps. This is the only title you've got and every ruthless fighter wants it."